Download "SRL Networks Presents Jenny Franck" on The Skunk Radio Live Record Store. 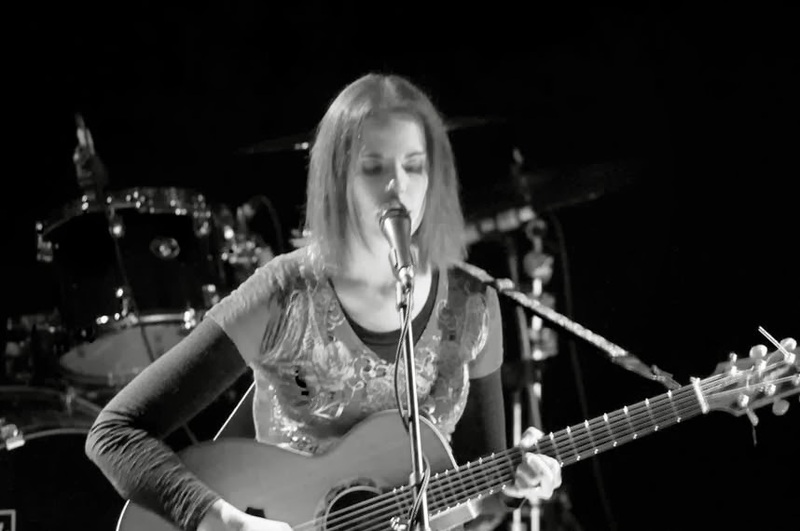 Jenny Franck is a rising star in the alternative/grunge scene, with an ever growing passion for music. Her love first started with the piano, evolving to guitar. Her signature sound is heavy, with a twist of grunge and a voice that captures the soul. Her inspirations have influenced her direction. They are rooted from artists like Nirvana, Stone Temple Pilots, Silverchair, Elliot Smith, and Alice in Chains. Her evolution has been personal, musical, and spiritual, in developing her writing along with her collaborative efforts. The passion you hear through her music is done like no other, delivering her life's events and emotions with such intelligence and grace. She says it in style each and every time through some of the best grunge/punk/rock music on the planet. One could clearly identify her growth from her very first EP, "Nothing Girl" released in 2005. This was followed by her self-titled EP, self-released in 2009. Her "Unplugged" EP self-released in 2011 went through the same process. The contrast from one to the other is inspiring to say the least. Her growth is palatable as her music begins to change its form, as we are constantly in a state of motion. It's a natural progression that Jenny Franck has perfected to her audience's delight. Jenny Franck's Latest project is still in a state of growth. "Beautiful Lies" which is being produced by Jaben Pennell (he co-produced, mixed and played on the theme song on Jackie Chan's latest movie, CZ12) is set for release in early 2014. As one might conclude, a few songs may trickle out as fans grow more anxious for this upcoming CD. One particular song "Black Crows", with Michael James (Producer/Mixer/Guitarist, New Radicals, Edwin McCain, Hole, A.J. Croce and founder of IndieProMix) on lead guitar, is one of her songs that tap into a serious, dark place. As the title indicates, it is a symbolic marker to what is holding her down. Lyrically, it is representative of the overall mood of this CD. The fusion of acoustics, electronics and its dark undertone is one of many powerful moments of this song. The chorus becomes a crescendo, taking you into the darkest point of the song. It's comparable to the energy of the ocean's waves. Majestic to witness yet contains such raw power. Jenny's song grabs you in the same way. Audiences are following her journey from the very beginning to her life today. It's a ride you shouldn't miss. Listen out for Turned In To You, Color Screen and other great songs by Jenny Franck on SkunkRadioLive Rock and Indie Music programs.